Garter stitch and stockinette stitch are the two most basic stitch patterns used in knitting patterns. Therefore it is important to know the difference. It is kind of funny that they have 'stitch' in the name, when they are actually both made up of knit and purl stitches. The primary difference is just how rows of knit and purl stitches are ordered, to create these two basic patterns. Check out these videos to see the differences. Learn how to create a garter stitch pattern. 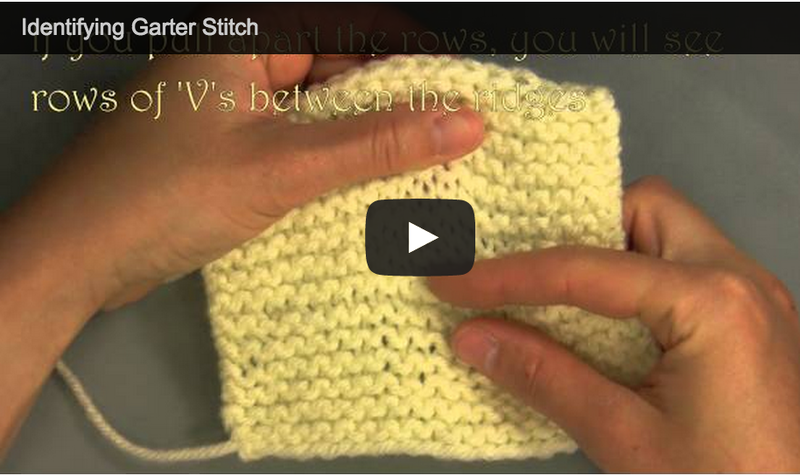 Watch this video and see how Stockinette Stitch (St st) is different than garter.